Internationally acclaimed Australian Chef Alison Taafe is in town this weekend to present at Sunday Mail HIA Home and Garden show at Royal Adelaide showground, doing cooking demonstration, with her new book “Eat for your life”. Adelaidefoodies.com interviewed Alison yesterday at Adelaide Central Market while she was picking up some fresh local organic vegetables and free range chickens for her cooking demo at the show. 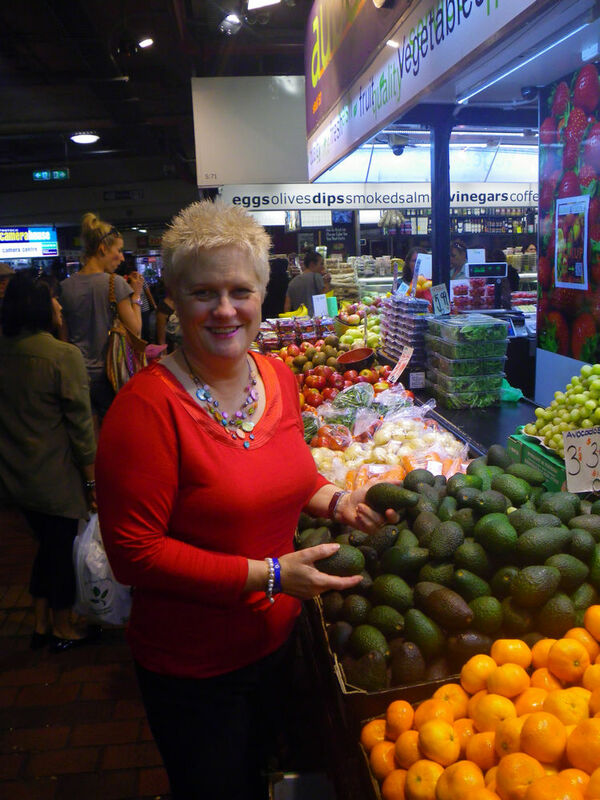 The Queensland based chef would love to share some of her life stories with South Aussies. Alison was born in Great Britain and at the age of 16 went to Westminster Kingsway College, the top education destination for hotel management and the ex-school for Jamie Oliver. Having grandfather being a chef, Alison’s main focus at school was to become a chef who can travel, cook, eat, sporting and enjoy. With the supports from her mother and home teacher and her own efforts, Alison gained entrance in to the College, which only accept 30 people each year back then. At the age of 21, Alison was appointed the head chef at JP Morgan Investment in London and since then started a successful career with traveling and working in the US and other parts of Europe. Her high inspiration in food and her career has gained her numerous amounts of opportunities, including cooking for Queen Elizabeth in Perth and for two presidents. In 1988, Alison moved to Australia and a new chapter was started since then. The Sassy Chef also shared her favourite cuisines to be Thai and Italian to eat and to cook. She is a talented person from my view and is extremely knowledgeable about the Industry she loves since when she was young. While Alison enjoyed her work and lifestyle in Australia, her sister, Laura, was diagnosed with breast cancer in 2007. Despite the fact that all primary tumours were removed, in 2009, secondary breast cancer tumours were detected in Laura’s bone. With the indication from her doctor, Laura only had 18 months to live. Alison took the job and started to search for a cure for Laura from food. In fact, I’d say Alison was successful. When I met Laura yesterday, she looks healthy and strong. I guess all family members love to see this. My mom suffered from primary breast cancer too, so I know how it felt when being diagnosed. The philosophy for the book is to find a cure or healthier eating habit for people with potential cancer risks. Alison’s finding is impressive. Organic and whole food! For beef and lamb, they have to be grass fed with no fat while for chickens, free range and organic ones are better. 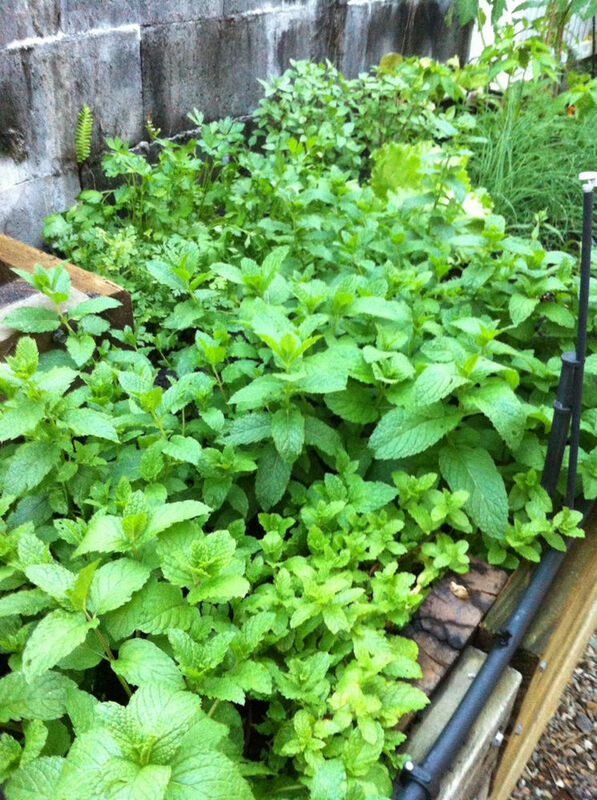 Alison grown all her organic vegetables for Laura in her garden too. She also specified that some raw food are good for Laura’s situation as well as the elimination of any processed food, ie. cook everything from scratch. 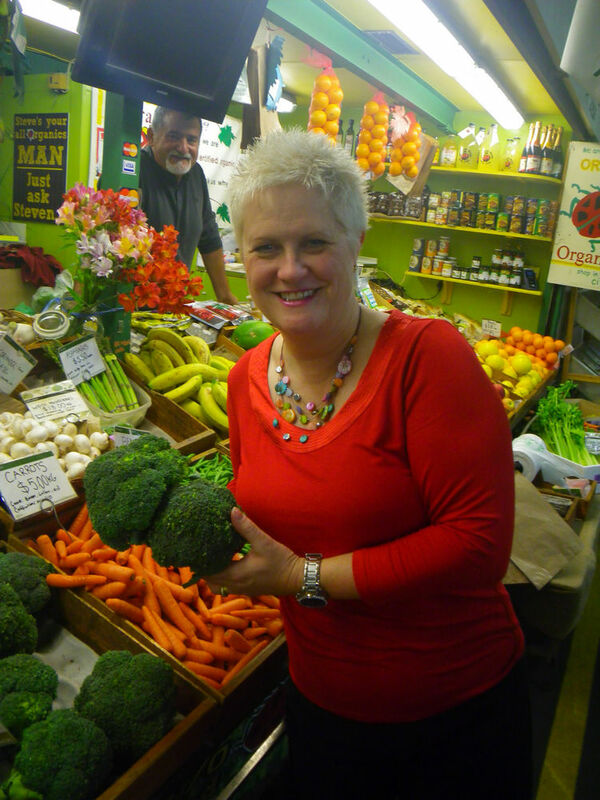 Because of Laura’s breast cancer, Alison has put so much effort into the research and established a charity, Eat for a Cure, which do free seminars to cancer patients and/or sending patients overseas for diagnosis. Alison shared that they will do such seminars in Adelaide in future too. The cookbooks retail at AUD $39.95 and can be purchased at the Sunday Mail HIA Home and Garden show on Oct 19th and 20th. Alternatively, it can be purchased at Eat for a Cure website for AUD$30 plus $15 postage. This money will go to the charity for Eat for a Cure. Chef Alison currently run two cooking schools in QLD. For amateur cooks or foodies, Alison runs a culinary school which aims to educate people from basic cooking skills to more complicated dishes. The school has three levels and runs over 8 weeks for $700, including all accessories such as professional cutting boards . Although this is not accredited course, it is very popular among home cooks. For professional cooks, Alison established Institute of Culinary Excellence (ICE), a top tier private sector cookery college, in 2012. Alison shared that out of many of her students, a couple became top ones in My Kitchen Rules as well as Masterchef. Chef Alison Taafe has picked three recipes out of her new cookbook “Eat for your life”. The Quinoa recipe can be found in chapter 4 in the book, whereas the first two are from early chapters. They are all good for cancer and as I interviewed, Alsion picked the fresh produce from various organic stores in Adelaide Central Market. 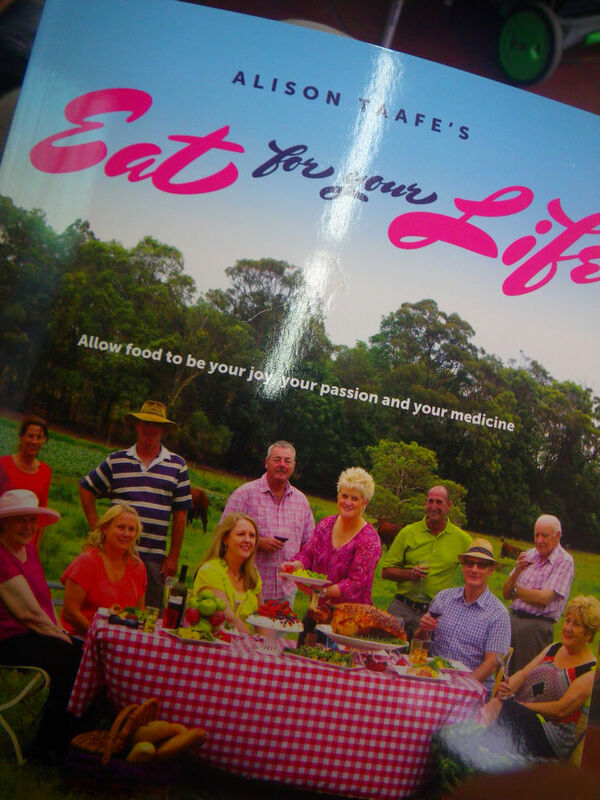 To see Chef Alison Taafe in action and know more about her new cookbook “Eat for your life”, head to Royal Adelaide Showground on Oct 19th and 20th. 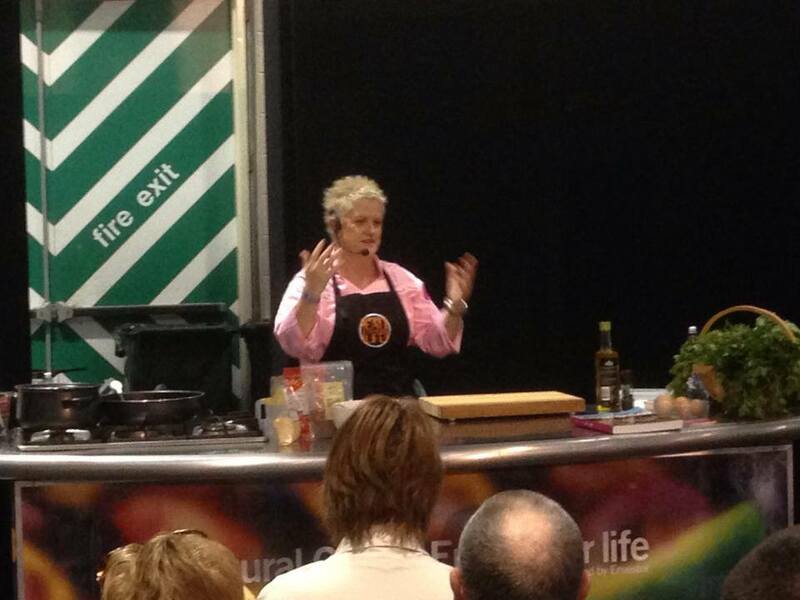 Chef Alison Taafe cooking demo on Oct 19 at Sunday Mail HIA Home and Garden Show. Photo courtesy of Alison Taafe. Thanks for this post Xin. What an inspirational food and eating philosophy. Shared too, that’s brilliant. Very interesting and inspiring. I’m really intrigued by figuring out the raw cauliflower couscous – it must have such an amazing texture. Thank you for sharing! G’day and great post Xin, true! I love raw cauliflower couscous and a healthier food lifestyle can lead to a happier, healthier life too!